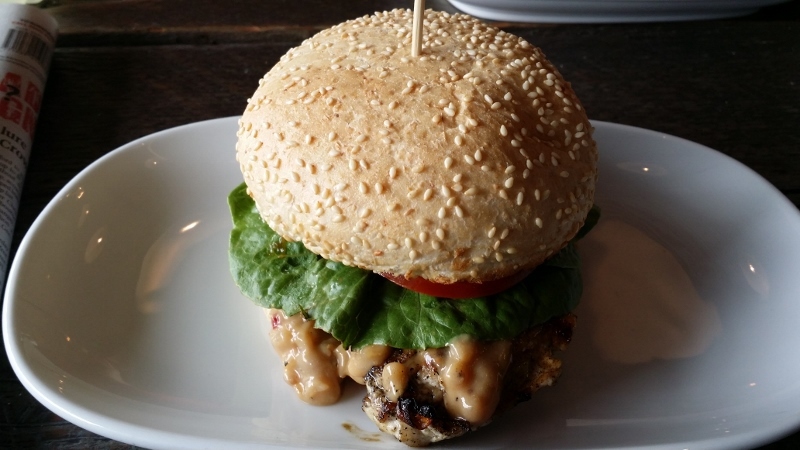 First established at Blackwood in 2010, Fancy Burgers at Kensington Park is a local burger bar that prides itself on using South Australian produce in making their products. Their buns and breads are also stated to be baked fresh everyday with no preservatives and added sugars. A good variety of burgers are served here, including beef, chicken, lamb and vegetarian burgers. During our visit, we ordered the Holy Smokes and Satay Chicken burgers, as well as a medium serving fries known as Tall Chips on their menu. The Holy Smokes burger had a beef patty that was cooked just right with a delectable char-grilled flavour from the chargrilled peppers and smoked chilli mayonnaise. 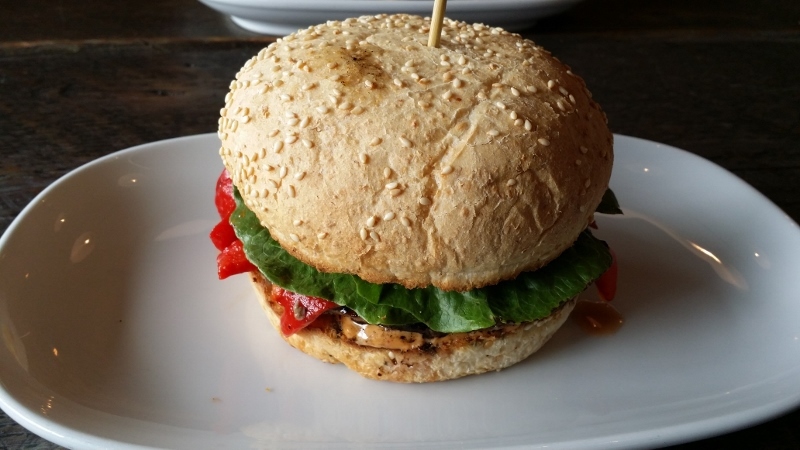 Their Satay Chicken burger had a juicy piece of grilled chicken breast whose flavour was brought out by the satay sauce. The salad and relish also complemented the flavour of the burger nicely. 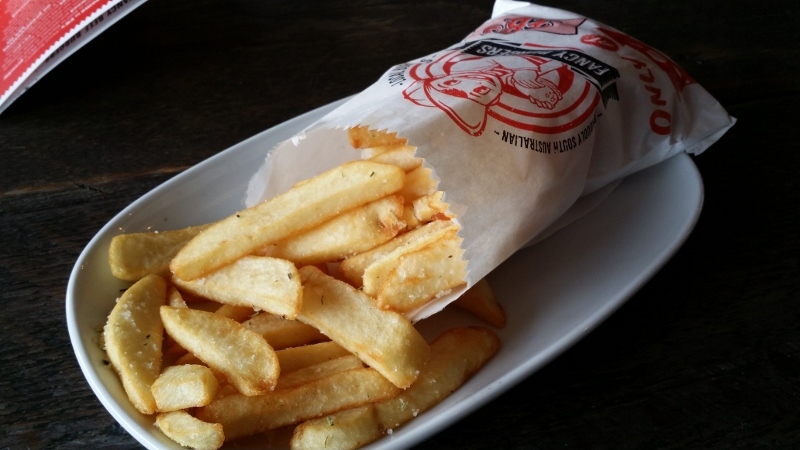 Their chips were crispy and fluffy, with the flavour lifted by the sea salt and rosemary that was sprinkled over them. There is a choice of three serving sizes, the Tall Chips size being generous enough for three people. For a bit of extra cost, you can choose between BBQ Relish, Tomato Relish, Herby Mayo and Smoked Chilli Mayo to accompany the chips. In addition to the burgers, Fancy Burgers also offers Steak Sandwiches and miniature chicken and beef burgers if you feel you do not have the appetite to finish a regular sized burger. A good amount of off-street parking is provided at the back of the restaurant. Another branch of the restaurant is located in Adelaide in addition to the one located at Blackwood.